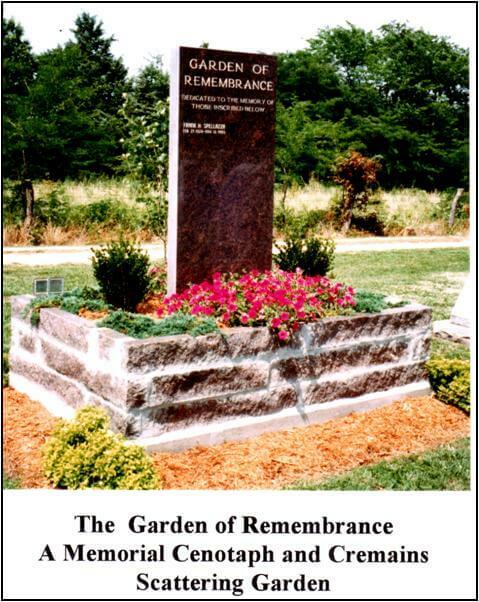 The Garden of Remembrance, is a memorial cenotaph (monument) and scattering of ashes or burial garden. It is located in an old nicely maintained country cemetery. The Dudenville Cemetery was carved out of the pre-settlement prairie about the time of the civil war and continues to maintain a historic tranquility. The focal point of the garden is a mahogany granite monument with a surrounding planter of granite bricks. The names and dates of the birth and death of persons remembered, by their families and friends are inscribed on the monument. The persons being honored may have had their ashes scattered or buried in the garden or at another location. Arkansas folk singer/songwriter Jimmy Driftwood commented in an interview with the Arkansas Democrat-Gazette that he and his wife wanted their ashes scattered together out on their beloved Ozark hills. Driftwood wrote a song for the occasion and the lyrics are as follows. They’ll open their doors and take me in. Driftwood’s song expresses the thoughts of many people who want their ashes scattered in a favorite place. 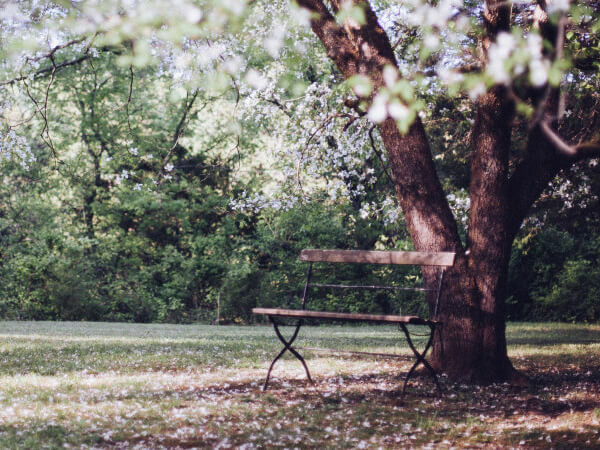 Unfortunately, many families discover after a loved one’s ashes have been scattered somewhere, there is no place to gather for remembrance. The family and friends left behind usually try to honor the last wishes of their loved ones, but they are often left with an additional void. People need a tangible place to record the life of a loved one and a place that future generations can return to for remembrance. The Garden of Remembrance provides a place to remember not only those that are scattered or buried there, but also it provides a way to memorialize loved ones that are buried or scattered too far away to visit. Families or friends that wish to have ashes of loved ones scattered on the Garden of Remembrance and/or have their names inscribed on the monument should contact Pugh Funeral Home.